ok. nice all ontime. good service. good view. they give option for return wangfujing or bird nest. all good. Mutianyu Great Wall is one of the best preserved and best known sections of the Great Wall of China. This section of the wall is what most people usually think of when they hear the name of this iconic structure. It had been masterfully restored to recover the essence of the dynasty from when it was built. 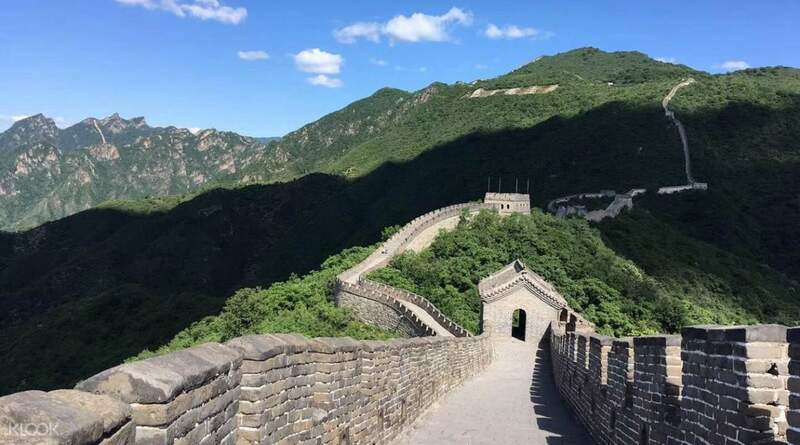 Depart from Beijing and head to Mutianyu with the company of an English speaking guide and enjoy three glorious hours of sightseeing, walking down the wall and between the tightly spaced watchtowers. Beyond the wall, the location is surrounded by dazzling natural scenery that transform along with the season. As one of the well-renovated areas, there are many facilities on it for you to enjoy. At the end of your tour, you will safely return back to Beijiing with the memories of this magnificent structure. I am happy purchasing this tour. It is managed well and at the end of the tour, Lucy dropped us in Bird Nest stadium. Overall lunch is so so with majority is vegetables. If you need something spicy then bring yourself. I noted some food outlets outside the restaurant e.g subway, as an alternatives for your lunch. I am happy purchasing this tour. It is managed well and at the end of the tour, Lucy dropped us in Bird Nest stadium. Overall lunch is so so with majority is vegetables. If you need something spicy then bring yourself. I noted some food outlets outside the restaurant e.g subway, as an alternatives for your lunch. Everything was coordinated relatively well. Lucy, the guide, contacted us the night before to coordinate pick up and the process leading up to the great wall itself was very smooth. You get some information and history about the wall on the way there, but Lucy will give her talks in both English & Chinese and there's rather a bit more info if you can understand the latter. Arrived early in the morning when there were hardly any other tourists, which was great. The journey back was immensely frustrating due to bad traffic delaying the drop off. It was half past 4 by the time we got off at the bird's nest, and we were told the bus would only reach wangfujing at nearly 6 pm. But that's nobody's fault really, just something to take note when planning your day. Everything was coordinated relatively well. Lucy, the guide, contacted us the night before to coordinate pick up and the process leading up to the great wall itself was very smooth. 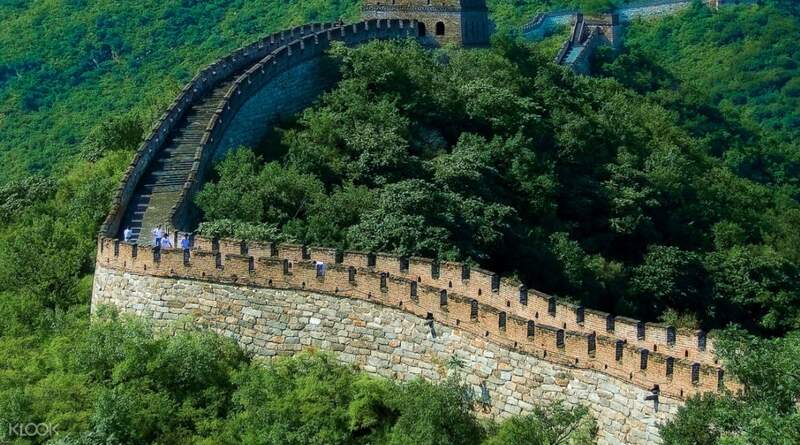 You get some information and history about the wall on the way there, but Lucy will give her talks in both English & Chinese and there's rather a bit more info if you can understand the latter. Arrived early in the morning when there were hardly any other tourists, which was great. The journey back was immensely frustrating due to bad traffic delaying the drop off. It was half past 4 by the time we got off at the bird's nest, and we were told the bus would only reach wangfujing at nearly 6 pm. But that's nobody's fault really, just something to take note when planning your day. The day tour to The Great Wall is excellent. This part has less tourists than the other two so I can had spectacular photos easily. Our tour guide, Jen, is great too. She gave us some background information about the Great Wall on the way. She could also answer any questions from us. The day tour to The Great Wall is excellent. This part has less tourists than the other two so I can had spectacular photos easily. Our tour guide, Jen, is great too. She gave us some background information about the Great Wall on the way. She could also answer any questions from us. Pick up on time. Additionally purchased cable car ticket (120 CNY, you can book it online separately), and had about 4 hours to spend on the wall. Guide Susie is very nice and will help you with everything you need. Lunch is included, which is very cost saving bcz the prices in restaurants near to the wall are high. Need to pay only for drinks, we ordered hot tea (30 CNY). Arrived to The Great Wall early, so could take enough photos without crowds. Pick up on time. Additionally purchased cable car ticket (120 CNY, you can book it online separately), and had about 4 hours to spend on the wall. Guide Susie is very nice and will help you with everything you need. Lunch is included, which is very cost saving bcz the prices in restaurants near to the wall are high. Need to pay only for drinks, we ordered hot tea (30 CNY). Arrived to The Great Wall early, so could take enough photos without crowds. We loved our journey to Great Wall Mutianyu. Our guide was Lucy, and she was a good guide too. She gave suggestions to make us not spending unnecessary costs during the tour. For us, protect your tour participants from costs trap, that is a big thing. big thumbs up to Lucy. We loved our journey to Great Wall Mutianyu. Our guide was Lucy, and she was a good guide too. She gave suggestions to make us not spending unnecessary costs during the tour. For us, protect your tour participants from costs trap, that is a big thing. big thumbs up to Lucy. Suzy, Our tour Guide was very helpful and coordinate everything. Helped us with a picture of how to get to the subway and made sure we were picked up on time. She provided instructions clearly and also made it very clear that there will be no shopping or any unwanted stops during the tour. I recommend you travel with her to ensure u have a pleasant experience. Thank you Suzy! Suzy, Our tour Guide was very helpful and coordinate everything. Helped us with a picture of how to get to the subway and made sure we were picked up on time. She provided instructions clearly and also made it very clear that there will be no shopping or any unwanted stops during the tour. I recommend you travel with her to ensure u have a pleasant experience. Thank you Suzy! comfortable transportation. 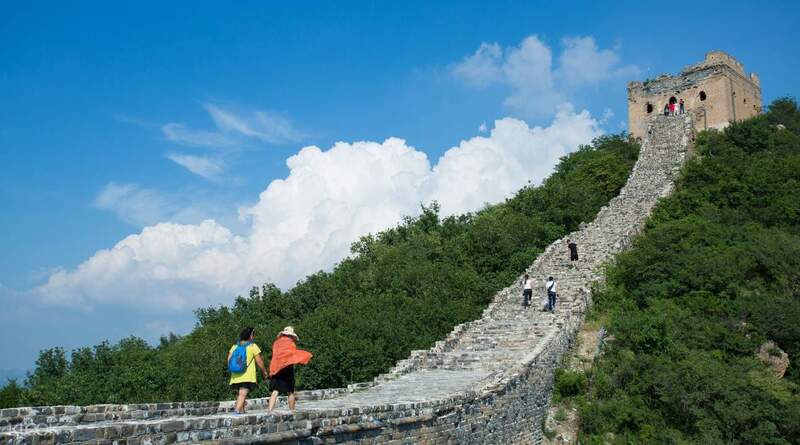 Mutianyu is definitely the sport to explore great wall as it is less visited than Badaling. comfortable transportation. 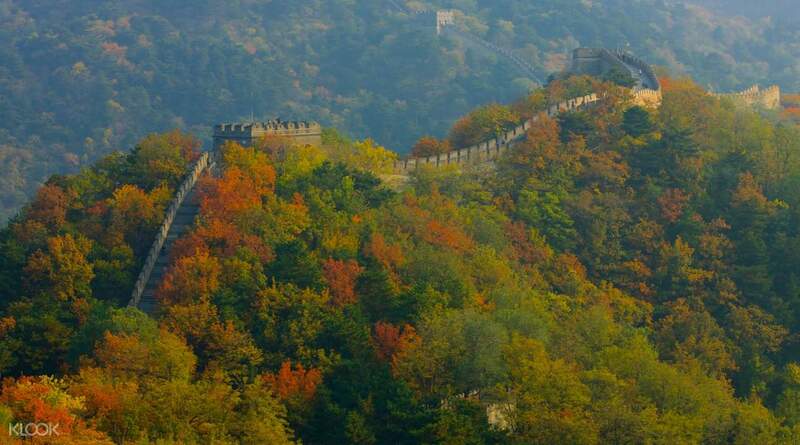 Mutianyu is definitely the sport to explore great wall as it is less visited than Badaling. The pickup was on time. It would be better if the driver was holding a placard with our name, so we could see him immediately. We were looking for a lady, because a lady sent us a message for the pickup time. She could have told us that a man was going to pick us up. The tour itself was great. We were there before the crowd arrived. Take the cable car up to save energy for the long walk. The tobbogan slide is the best, although we had to wait about half an hour. Arrived just in time for the lunch at 1pm. Food is so-so. The pickup was on time. It would be better if the driver was holding a placard with our name, so we could see him immediately. We were looking for a lady, because a lady sent us a message for the pickup time. She could have told us that a man was going to pick us up. The tour itself was great. We were there before the crowd arrived. Take the cable car up to save energy for the long walk. The tobbogan slide is the best, although we had to wait about half an hour. Arrived just in time for the lunch at 1pm. Food is so-so. This day trip is great for anyone wanting to visit one of the 7 wonders of the world. Was greeted by light snowfall when we arrived at Mutianyu and clear weather upon reaching the walls. Took many nice photos and there weren't many visitors around. Explored four sections of the wall which offered different views. The lunch provided was surprisingly delicious and really helped recharge the body after all the walking. Will definitely recommend this day trip to anyone looking for a hassle free experience to this wonderful attraction. Be sure to bring money to pay for cable car rides and drinks for lunch. Finally, you will be dropped off at three locations of your choice. This day trip is great for anyone wanting to visit one of the 7 wonders of the world. Was greeted by light snowfall when we arrived at Mutianyu and clear weather upon reaching the walls. Took many nice photos and there weren't many visitors around. Explored four sections of the wall which offered different views. The lunch provided was surprisingly delicious and really helped recharge the body after all the walking. Will definitely recommend this day trip to anyone looking for a hassle free experience to this wonderful attraction. Be sure to bring money to pay for cable car rides and drinks for lunch. Finally, you will be dropped off at three locations of your choice.